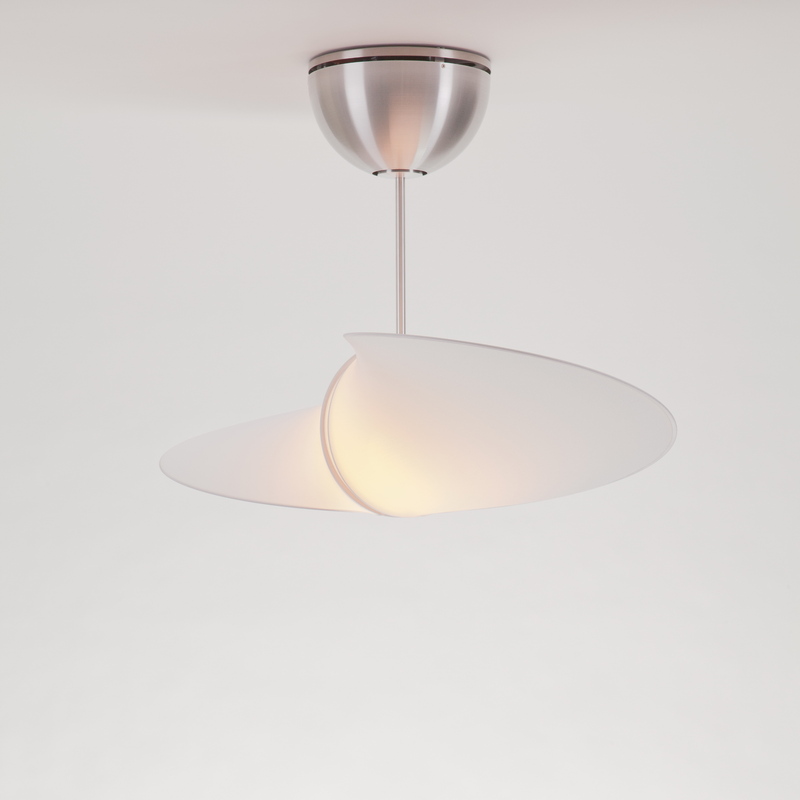 Propeller by Serien Lighting is not only as a fan very efficient because an innovative design of fine spring steel wire and thin fabric cover offers enough space to use a Lamp in the interior, which exudes soft and gentle light. About the supplied remote control can be both the speed of the fan in three stages (about 40 rpm, about 85U/min, about 130U/min) regulate and the light dimmed continuously. For the change between summer and winter, there is also a reverse run, which can be set directly on the canopy.